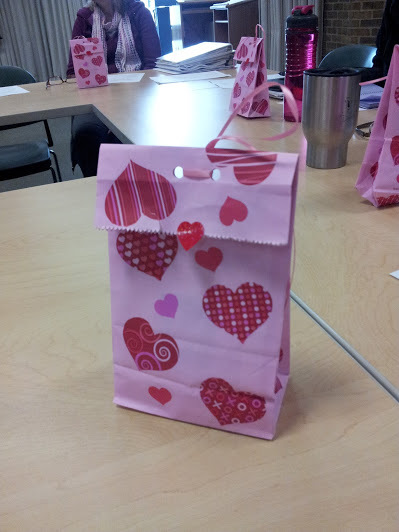 We had a nice treats for our February meeting: including some Valentine’s Day chocolates! Thanks Margaret. We had a new member drive in all the way from Syracuse: welcome, Carol. Reminders: Bouchercon will be here in Albany 19-22 September; Malice Domestic in Bethesda MD, 3-5 May; Deadly Ink in Parsippany NJ, June; and the New England Crimeback in the Boston area in November. Julia also put in a good word for Thriller Fest in NYC and its accompanying Craft Fest, which offers workshops. If you have news or a link/event/tip to share, be sure to put them on our Facebook page and Kate Laity will gather them up for the blog — or submit via our brand new form here. News items should also go to President Betsy Bitner for the newsletter. 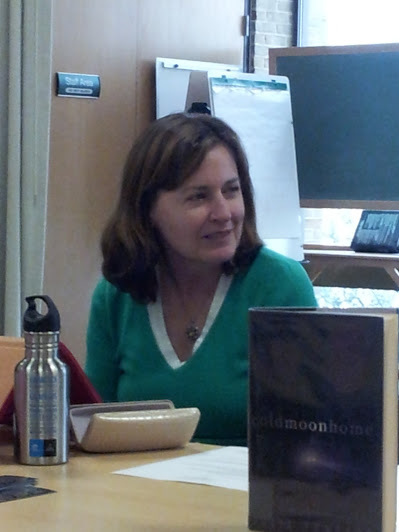 Of course the big draw was a chance to chat with author and Maven Julia Pomeroy. She talked about the genesis of her forthcoming thriller, No Safe Ground, as well as her experiences in publishing to date. Like so many writers, Julia has been caught in the changing winds of publishing. Never assume that getting published means the end of your troubles: Julia signed a two book contract only to have her small imprint dissolved in a corporate buy-out just as the second novel was about to be released. Tragic events in her personal life helped put the disappointment in perspective, but getting back into writing proved a hurdle nonetheless. Rising to the challenge, Julia switched gears and moved into thrillers. She spoke of learning that the villain was the lynchpin in these fast moving narratives and used that to shape her own. Fascinating real people were adapted as characters. Julia talked about a wide variety of topics: working with a publisher whose main clientele are libraries, using her acting skills in writing, the importance of having a platform if you want to be published, as well as the power of seeing your novel as a screenplay to cut out the meanderings that diminish the action. Full details upcoming in the newsletter: join the Mavens to be a part of the action! Joel Gomez-Dossi’s first novel, Pursued, was published by Bold Stroke Books in December. Susan Sundwall will sign copies of her book, The Red Shoelace Killer, at the Barnes & Noble at Colonie Center on Saturday, February 9th from 12-2 pm. Julia Pomeroy’s novel, No Safe Ground, is scheduled to be released by Five Star on March 18th. Kate Laity’s novel, Lush Situation, the second in her Chastity Flame series, will be released on March 28th.